The Department of Trade and Industry (DTI) introduced the electronic payment (e-payment) facility for business name registration last January 20 to make it easier for entrepreneurs to start a business in the Philippines. “In assuring entrepreneurs of an enabling business environment, the government is gathering institutions and partners from the private sector to work on key reform areas in line with President Aquino's policy thrust anchored on good governance and transparency,” DTI Secretary Gregory L. Domingo said. “The e-payment facility for business name registration is one of the projects that the DTI is implementing to simplify the process of dealing with the government as entrepreneurs start and run their businesses,” Domingo added. Domingo said that the DTI’s goal is to make the Philippines a favorable environment for both foreign and local businesses to flourish. “In launching this facility, we enable enhanced delivery of services to the business community and further encourage economic activity in the country,” Domingo said. DTI Undersecretary for Management Services Nora K. Terrado noted that after migrating the Enhanced Business Name Registration System (eBNRS) and Philippine Business Registry System (PBRS) to the cloud environment in 2013, the DTI enhanced these systems to make them robust for additional functionalities and services such as the e-payment facility. “With this e-payment facility in place, entrepreneurs can apply and renew their business name without going to the DTI offices, and enjoy the convenience of paying the applicable fees online through their computers or mobile phones,” Terrado said. “This facility will further reduce the steps of business name registration since sole proprietors can now apply online through the BNRS website at bnrs.dti.gov.ph. In less than 15 minutes, they can complete the registration; moreover, they can opt to download and print their business name certificates,” Terrado said. Terrado added that registering a business name can also be done online through the PBRS website at business.gov.ph where entrepreneurs can also avail of other government-related services such as Taxpayer Identification Number (TIN) validation and/or creation with the Bureau of Internal Revenue and application of Employer’s Registration Number (ERN) with Pag-IBIG Fund, PhilHealth and Social Security System (SSS) in less than 40 minutes. Through this e-payment facility, entrepreneurs may register their business name without the need to visit the DTI office if payments are done by electronic means. Currently, the DTI has enlisted both Globe’s GCash and Bancnet for this ePayment facility. The e-payment facility was made possible in partnership with BancNet, Development Bank of the Philippines (DBP), Globe Xchange, Inc. (GXI) and Landbank of the Philippines (LBP). GCash is an internationally acclaimed micropayment service that transforms one’s mobile phone into a virtual wallet for secure, fast, and convenient money transfers at the speed and cost of a text message, while Bancnet is the country’s largest electronic banking consortium with 113 members and affiliates. Bancnet is also a multi-bank multi-channel electronic payment network enabling payments for its automated teller machine (ATM) cardholders via ATM, point-of-sale terminal, internet, and mobile. DBP is the premier development financial institution in the Philippines while Land Bank of the Philippines is a government focused in promoting countryside development. “Today, business name registration for sole proprietorship can now be done end-to-end electronically. 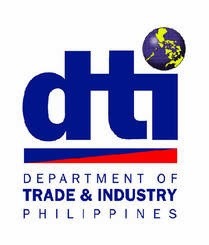 We are optimistic that this will help boost the number of business name registrations and the percentage of online transactions at DTI,” Terrado added. Last year, the DTI registered 335,266 new and renewing business names. Of this, a total of 41,658 new and existing business names were through the Philippine Business Registry.